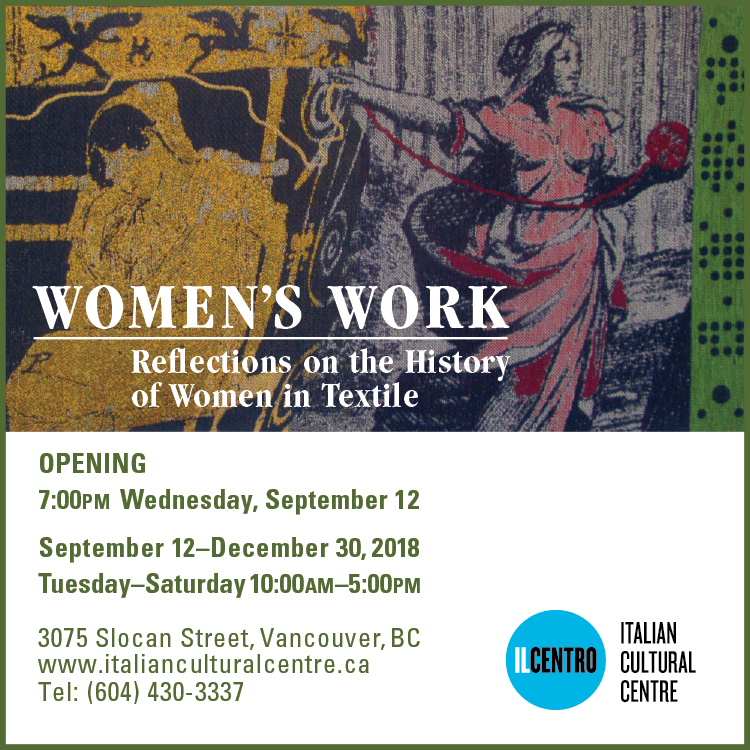 In honour of the Textile Association of America’s Annual Conference, held in Vancouver, the Italian Cultural Centre Museum (Il Museo) will be hosting the exhibition: Women’s Work: Reflections Upon the History of Women in Textile. Fifteen of the leading female professional fibre artists in British Columbia have been invited to participate. The exhibition’s opening night will be held within the museum from 7:00pm to 9:00pm, where light refreshments will be served. Admission is free.